The all-wheel-drive layout has been part of the motoring scene for almost as long as there has been a motoring scene, but its proliferation into just about every automotive segment is relatively recent. Its most common use was in off-roading vehicles to help improve traction over slippery surfaces. The added complexity and weight did not make such a layout suitable for on-road applications but that didn’t stop engineers from trying. So we thought it'd be interesting to take a closer look at 10 of some of the most relevant AWD vehicles in history. The very first AWD car ever built was the 1900 Lohner-Porsche. It was designed by a very young Ferdinand Porsche for Ludwig Lohner & Co. and also has the distinction of being the very first hybrid ever built too. An electric motor in each wheel hub was powered by batteries which received their charge from an onboard gasoline-powered generator. Fiercely complex and ungainly it nevertheless marked the beginning of the 4x4 layout. It was another three years before a more conventional internal combustion engine was to power all four wheels, the car was called the Spyker 60-HP. It featured braking on all four wheels and a six-cylinder engine, both world firsts. The demand for four-wheel-drive layouts increased exponentially as the years wore on, especially for military vehicles but it wasn’t until 1966 that the first performance car was to make use of an AWD system. This car was the British Jensen Interceptor. Powered by a massive Chrysler V8 it was a rare derivative with only 320 examples finding buyers. The first American-built passenger car to use a 4x4 layout was the 1979 Eagle AMC. Funnily enough, the full-time 4x4 system was provided by a British firm called Ferguson Research. While the Eagle wagon was the most popular you could also get a suitable quirky 4x4 convertible too. Up until the introduction of the Audi Quattro, the tangible benefits of increased traction and grip 4x4s offered had never been so starkly demonstrated. The relatively simple yet rugged permanent all-wheel-drive system proved to be a game changer in rallying and soon a roadgoing version was introduced. While European versions eventually had up to 217-hp the handful of American imports were somewhat watered down and made only 160-hp. Nevertheless, the Quattro UR marked a turning point in road-going sports cars and its combination of turbocharging and AWD traction has been widely adopted since. The limited production 1991 Bugatti EB110 was one of the first supercars to have AWD and this gave the quad-turbo 600-hp supercar serious acceleration off the line. The Modern-day Chiron is in many ways a descendant of this original AWD monster. The slightly mad LM002 off-roader introduced in 1986 was the first Lamborghini to come equipped with AWD but it was the V12 Diablo that first used this technology to improve on-road performance. The 1993 Diablo VT could channel up to 25% of engine torque to the front wheels which made this fearsome beast a bit more manageable at the limit. 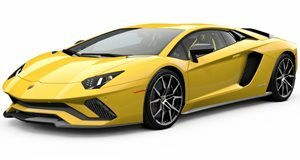 Except for a few limited-edition models, modern Lamborghinis are almost always fitted as standard with AWD. With up to 740-hp available from the current Aventador SV, this is definitely a good thing. The GT-R may have started off as a rear-wheel-drive sedan but the more modern iterations all had complex AWD systems that gave them the ability to take on and often beat much more powerful and expensive supercars. 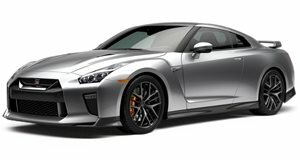 The current GT-R is into its 10th year of production yet its acceleration off the line is still comparable with the latest crop of supercars. Continual updates and improvements are partly responsible for this impressive performance but it is the AWD system that provides it with the necessary grip to deploy 600-hp effectively. Modified examples producing close on 2000-hp have been built, showcasing the inherent toughness of the standard car. BMWs have long been touted as the ‘ultimate driving machines’ primarily due to their 50:50 weight distribution and rear-wheel-drive layouts. The continual rise in power outputs has meant that some of the latest M models are a bit of a handful when trying to deploy all of that ultimate driving excitement. Enter the latest M5, equipped with a switchable AWD system, it offers the best of both worlds. 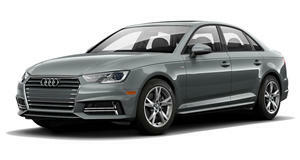 Despite making no more power than the outgoing model it can launch to 60mph almost a second quicker. Turn it back to 2WD mode and you can slide around every corner just like you could in the old car. Ferrari developed a unique AWD system for their FF GT car back in 2011. Featuring a secondary gearbox and Haldex clutches that transmitted power to the front wheels in lower gears, the car remained primarily rear-wheel driven but would provide additional traction when conditions required. Its replacement, the GTC4 Lusso retained the system in the top V12 variant and remains a superb GT car. This sort of tech may well find its way into other Ferrari products in the future although no official announcements have yet been made. One of the original hybrid hypercar trio, the Porsche 918 was the only one to feature AWD and it proved to be the fastest to 60 mph of the lot. Its 2.5-second time is still at the very pointy end of what the latest batch of supercars and hypercars can manage. Aside from the ground-breaking technology required to make a hybrid hypercar, the AWD system has also been designed to work even when the 918 is being powered by the electric motors alone. Porsche has utilized AWD technology in cars like the ‘80s 959 supercar to good effect before and it is quite likely that its new generation of hybrid and all-electric vehicles will continue with this trend going forward. Fast AWD cars are nothing new these days, there are powerful versions of just about everybody style and configuration around. The Ariel Nomad, however, is a rather special car as it takes the minimalist approach of the Ariel Atom and translates it into an off-road capable package. The result is one of the very fastest production off-roaders on the planet. 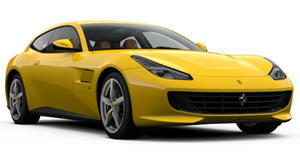 Acceleration times are V8 sportscar quick and can be attained on a variety of road surfaces. Such single-minded leisure-based vehicles are very popular these days and the Nomad comes with the backing and engineering pedigree of an established company to boot. The Sandracer 500GT is promoted as being the first Emirati car ever and it promises a carbon-fiber body construction, Corvette-sourced 6.2-liter 525-hp V8 and the ability to flatten even the most daunting of sand dunes with ease. Production numbers will be kept low and the pricing will reflect its supercar-for-the-dunes aspirations. Not much more is known from this potential off-roading disruptor, but we hope that things are still on track as it looks fantastic and that pesky little Ariel Nomad could do with some stiff competition.